Throwback to First Marathon @Disney! Most Americans visit Disney World for the first time as a kid. I was 26 years old for my first Disney experience – my first marathon. Some may say that I was a deprived child, but I disagree. Needless to say, I loved Disney Marathon! Yes, both the physical running of 26.2 miles as well as being at Disney. In the fall of 2010, after my sister and I had run our second half marathon, I somehow convinced her (bribes included) that we should double the distance and go for the full. We chose Disney Marathon since it would give us enough time to train. 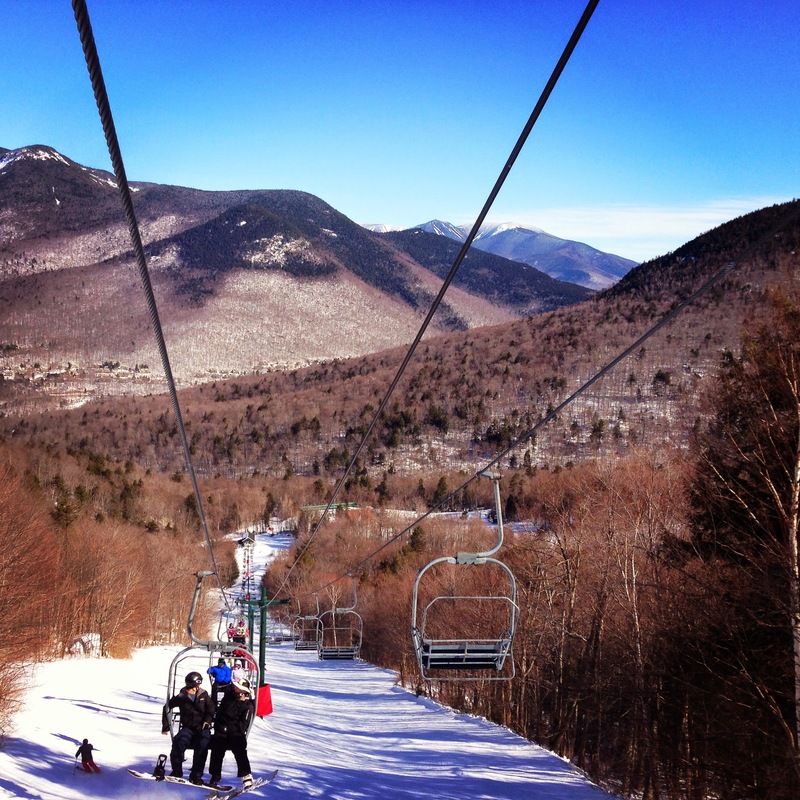 Also the idea of escaping Boston in January didn’t hurt. We followed Hal Higdon’s Novice 1 Marathon, and thought this plan was a good fit for our first 26.2 race. While we ran separately during the week (i.e. – separate outdoor and indoor runs), we ran most of our long runs together on weekends. I had a bout of Iliotibial Band Syndrome (ITBS) which fortunately resolved itself after a few weeks of no running and following the RICE rule: Rest, Ice, Compression, Elevation. It didn’t set me back in the long run, but I did attribute the pain to increasing my mileage too quickly and not following the 10% rule. So I learned what a foam roller was and it quickly helped my legs and running ability. All runners/exercisers NEED to use a foam roller to massage harder-to stretch muscles including the illiotibial band. There are many other benefits to using a foam roller- this information can be easily found online. My sister, my cousin (who was running the Disney half marathon), and I flew into Orlando the Friday afternoon before the Sunday race. I remember it was snowing in Boston when we left, and I was not upset about heading south for the weekend. I drank at least one Nalgene of water throughout the flight (thankfully had an aisle seat! ), and continued to hydrate until race day. I was expecting the temperatures to be a bit warmer than the conditions in Boston over the last few months, and felt that I was prepared for this change. Disney expo is a fairly large ordeal, and being our first expo we certainly took it all in. They say that you should hustle through the expo (trying to stay off your feet), but we weren’t following those rules. 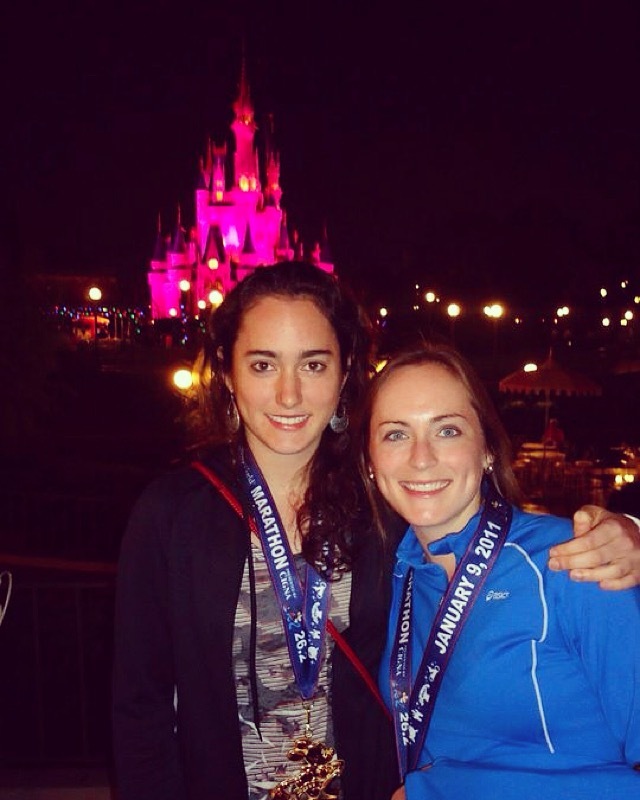 Throughout the race, it was very evident that we were running a marathon at Disney World. Characters lined the roads throughout much of the 26.2 miles. Hugging Goofy at mile 19 was something I won’t soon forget. What a boost! The course was very flat, great for a PR if the weather is right! It was on that day, but much hotter the second time I ran in 2014. In general, the only hills are the highway overpasses. Water stations, food, and candy were plentiful throughout the race. Disney doesn’t hold back on this—I think they have stations at every single mile. You run through all of the parks, and each is very exciting (making the somewhat boring highway stretches between parks fade from your memory pretty quickly). I’ll never forget running through the front door of the Magic Kingdom castle at dawn. The live animals in Animal Kingdom kind of scared me at first, but when I realized we were not actually in the wild, I calmed down. I think this has to do with running fatigue. Making friends with other runners along the course (if you are able to speak) always helps get you through some of the more challenging miles. Camaraderie is already there, so it’s easy to start the conversation. I met my “person who you call friend because you’re running at the same pace throughout 26.2 miles and want to get your mind off of running” at mile 2 and we hugged after we crossed the finish line. It was pretty special. Towards the end of the race, I looked out towards a field that was lining the course and saw Zorro on a horse. I wasn’t immediately sure if it was mile 21 talking or actually Zorro, but let’s assume it was the latter since we were at Disney after all. Crossing the finish line with a BQ (even sans Garmin that day!) at my first marathon was actually pretty darn cool. Suddenly the impossible– running a marathon– became possible. I was so happy to have accomplished this physical challenge and couldn’t wait to do it again. 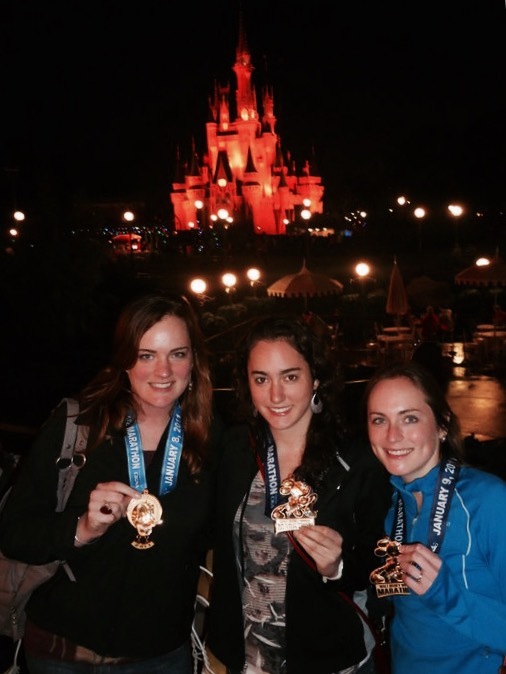 Have you run Disney Marathon? -I liked it so much that I decided to run it again a second time in January 2014. 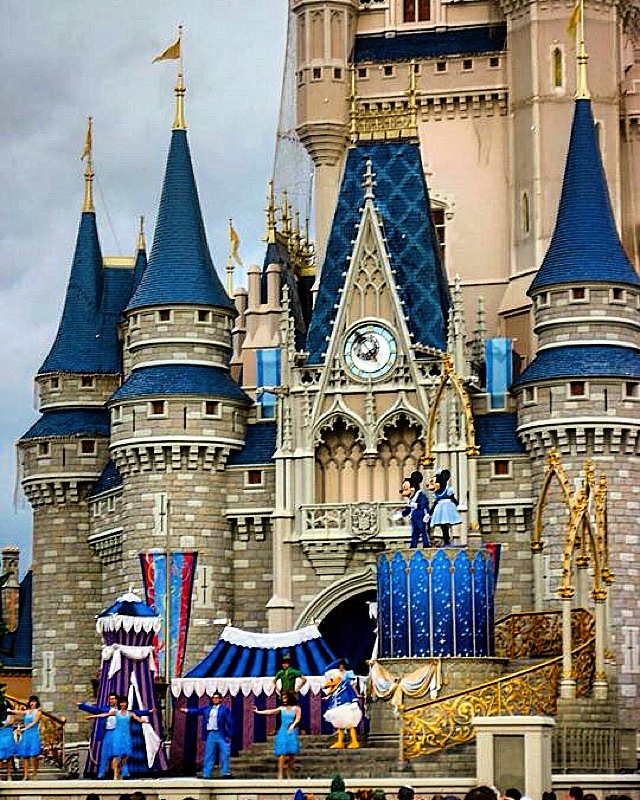 If you have been to Disney, what is your favorite park? -I would say Magic Kingdom for me. What was your first race? This is a great recap of the race! It is so interested how different our experiences were. I really loved mine as well and loved posting about it. It sounds like you run a lot faster than me! I was seven months pregnant at the time of my marathon so I ran 10K, which allowed me to run through Magic Kingdom and therefore the castle with my husband before I had to stop. He went on to cross the finish line!! It truly was a magical experience. Hopefully at the Princess Half Marathon this February we will cross the finish line together. My husband also had IT Band Syndrome, so our foam roller is heavily used also. Those things are great! But so hard to use! Wow, looks great. Was it warm? Thank you! I highly recommend this race. We had perfect weather the first year I ran, but warmer the second time. Orlando in January can go both ways! I have run 4 half marathons (2 more already on the books for early 2016) but am saving my money to do my 1st (possibly only) marathon at Disney. I’m planning on 2018. Thanks for the recap! That is exciting! What is your next half? I highly recommend Disney for 2018! Let me know if you have any specific questions! I’m running the Houston Aramco half 1/17/16 and then the Dallas RocknRoll half 3/20/16. I’ve been to Disney several times (twice as a kid, 3x as an adult) and LOVE it, and I heard they do an amazing job. Do they have Disney music playing along the route? And how were you walking the parks after the race? (Having never done a marathon, I have no point of comparison). I walked around Colorado Springs after doing a July 4th half there, but I imagine the parks after a full is a whole other issue! I love this post!! I will be running my very first half marathon in January, and it will be at Disney World too! And I’ll be running my second one in February: The Disney Princess Half Marathon. I’m really stoked and very much looking forward to it. Thank you so much for posting this! That is so exciting!! You will have a great time. Looking forward to hearing how it goes! How cool! I don’t think I’ll ever run a full marathon, but if I ever did, I might just consider this place being it. Congrats on the run! I am running it this year! This is a great re-cap! I was debating between this marathon and the NYC marathon for my first, but was scared about the weather in Orlando so I opted for the other. If I survive that one with minor injuries, I’ll consider doing this one. Glad you enjoyed the recap! I’d highly recommend Disney for a first marathon- the course is flat, fast, and fun! NYC will be an unforgettable race though. Good luck and let me know if you have any more questions!